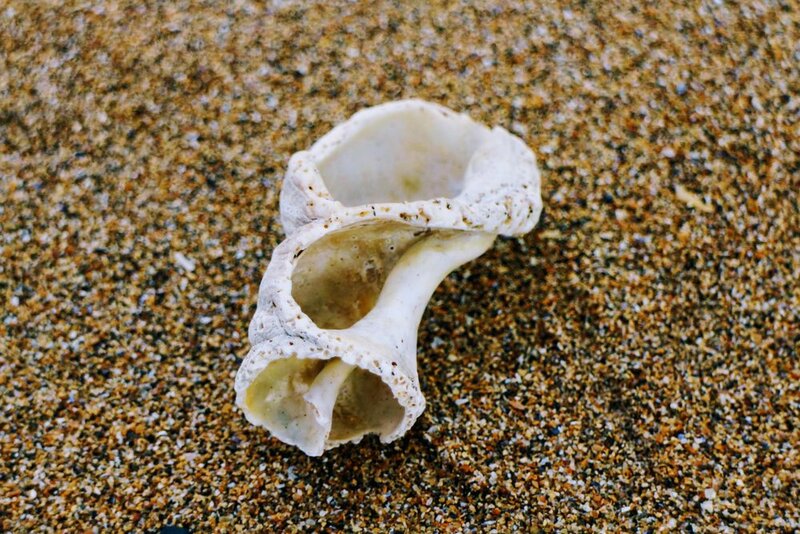 I've been looking forward to writing this post and sharing those photos with you. You know I love a good quiet getaway and the sea is always - besides the mountains, of course - a perfect destination. On our last full day in Scotland, Rickey and I followed another recommendation by our friend Rena and took the train out to North Berwick. 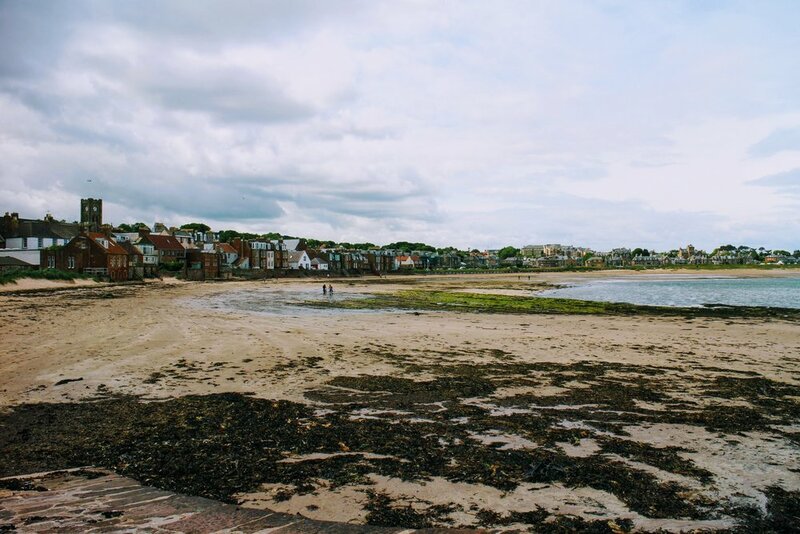 It's a serene seaside town about a thirty minute scenic train ride from Edinburgh. 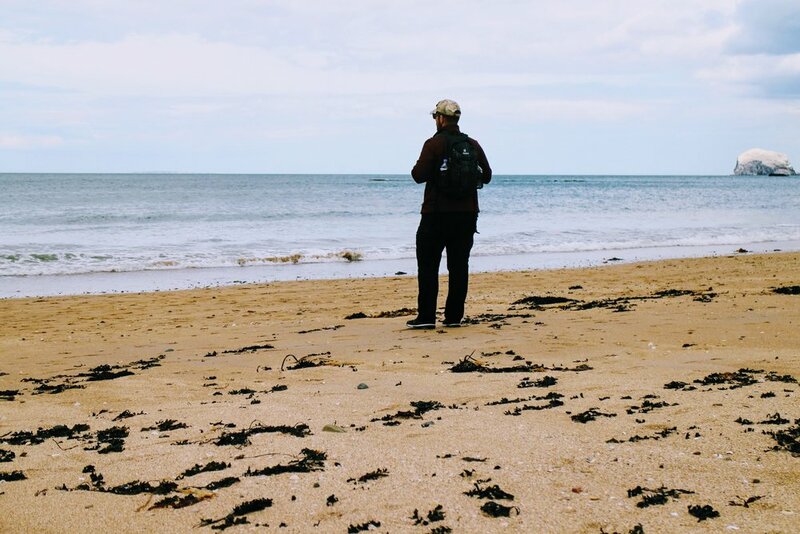 We packed some snacks, slipped into our walking shoes, and after a good breakfast, we were off to the sea, leaving the city hustle and bustle behind for a few hours. The sun peaked out here and there and for Scottish conditions, we were pretty lucky with the weather. We arrived in North Berwick and were ready to explore. I loved feeling the breeze on my face and inhaling the salty air. We took our time walking around. 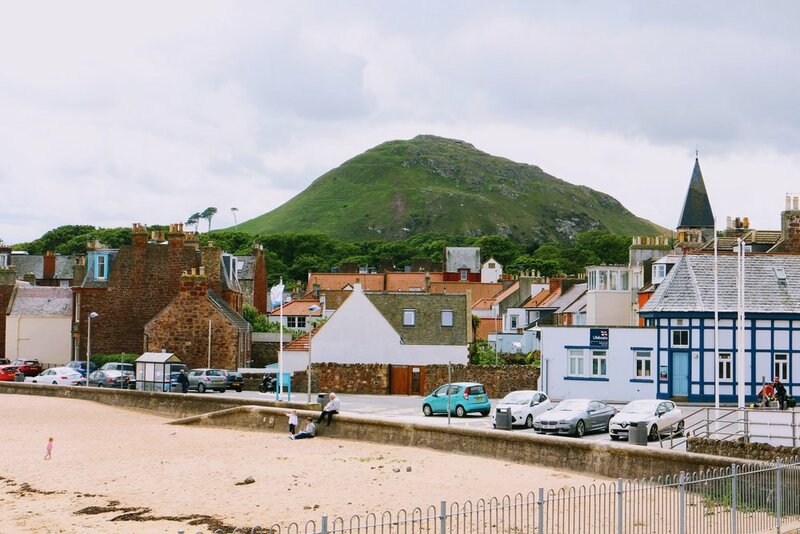 North Berwick made me realize, once again, why I am such a huge fan of Scotland. I just love the "traditional" atmosphere, the cute brick houses, the coziness. 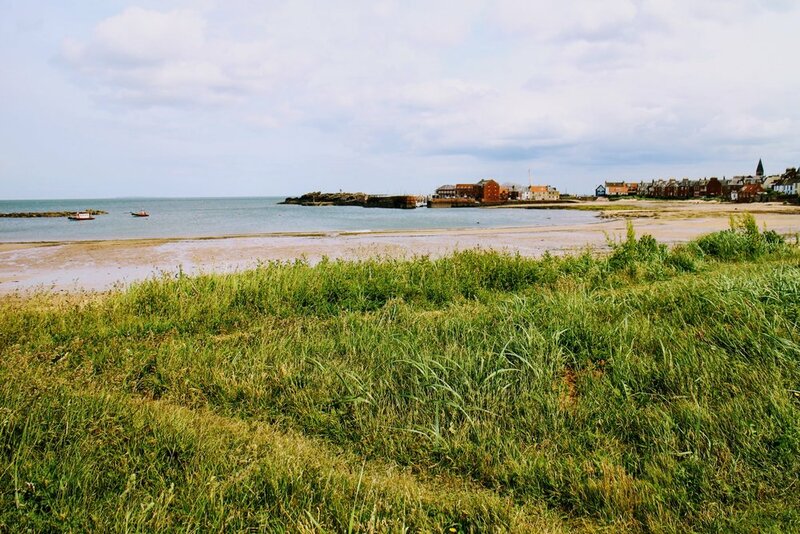 North Berwick is known to be a popular spot for lobster eating. Many people come here during the season to get their fresh lobster fix. 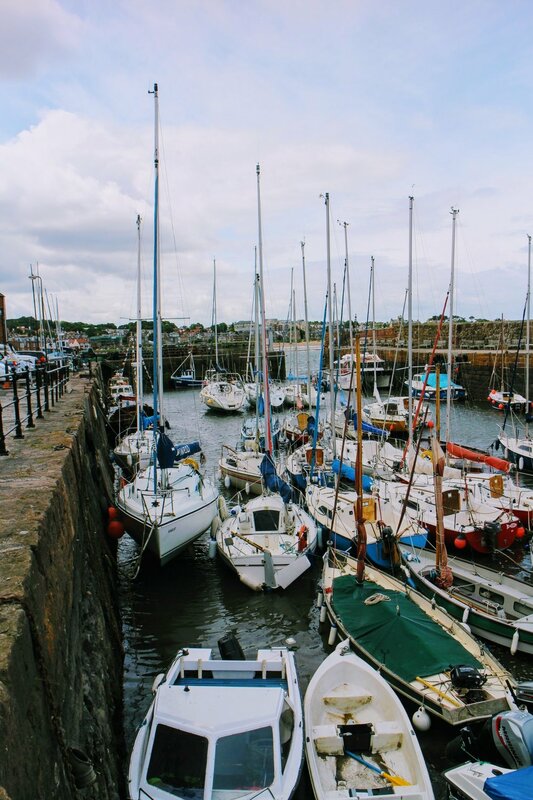 The town is nestled along the southern shore of the Firth of Forth and is close to many little islands scattered around in the sea. "Bass Rock" is the largest and is under conservation as it is home to many different bird species. Fewer than 7000 people live in this little town that is attracting visitors from both near and far for a quiet and refreshing getaway. If I lived in Edinburgh, I would be a frequent visitor here. 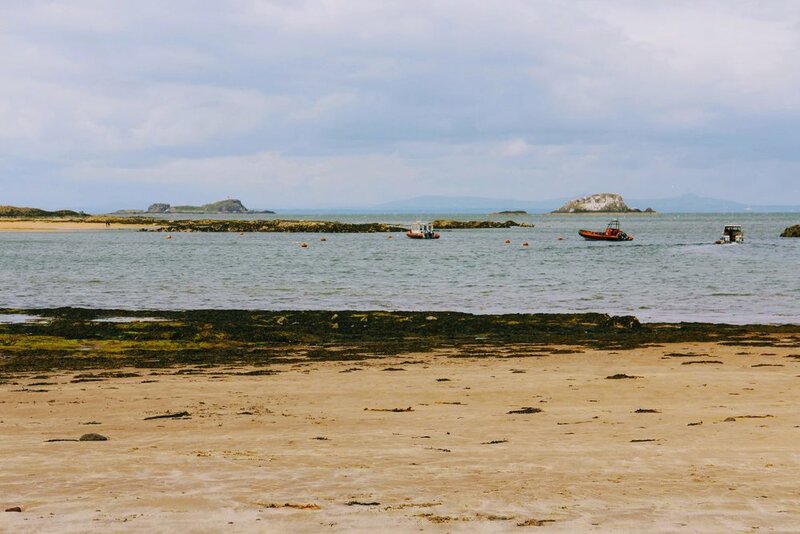 The salty air, the wind, the sea - perfect to let thoughts wander, clear the mind, and rejuvenate. We found a little spot for lunch (which isn't very much worth mentioning, to be honest) after we marveled at the peaceful scenery. It was really not a busy day in this little seaside town. Just the way I like it. The High Street was calm and the little shops offering coffee, pastries, and decor drew me in. And so we soaked in the small town spirit for a while. Apart from fresh sea food, you can get a lot of locally sourced, fresh produce. At some point after lunch, we were on the hunt for a little coffee shop and stumbled upon the cutest and most ethical little café. 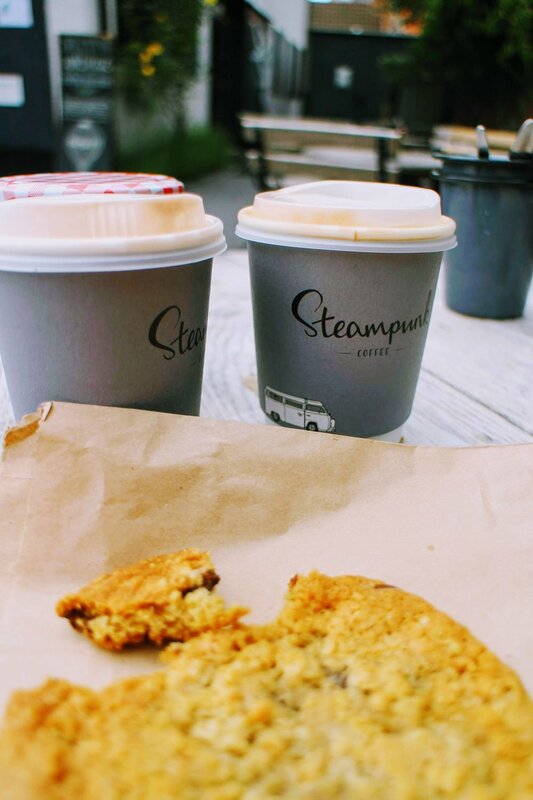 Steampunk Coffe Roasters is a hip little place focused on all things organic, local, and sustainable. In fact, they had a pop-up event going on as we walked in, educating people on making mindful changes in their lives that would be better for both us and the environment. You know - it starts with the simplest of things, such as buying a reusable coffee cup and taking this to your favorite barista for your morning caffeine fix. 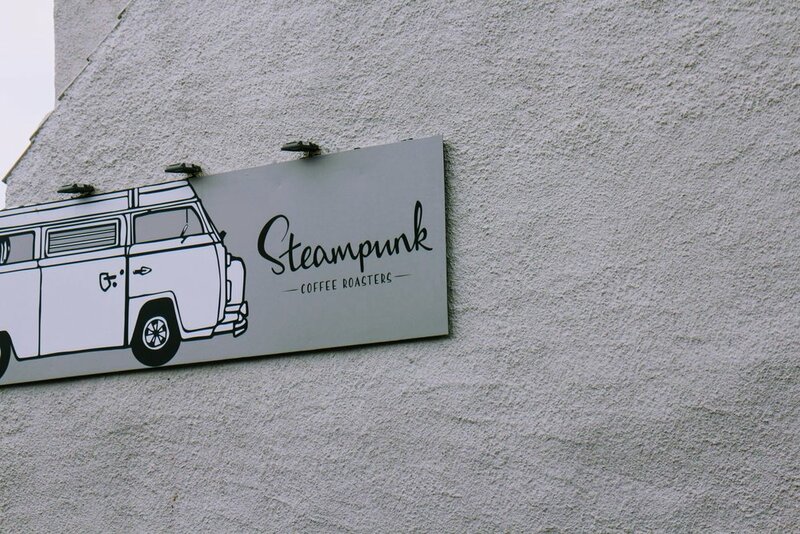 Steampunk Coffee Roasters actually give you a discount if you bring your own cup. I love this whole approach. Oh, and they are dog friendly (always a plus), but a bummer our two little stinkers were stateside. They would love Scotland and the freedom of running around. 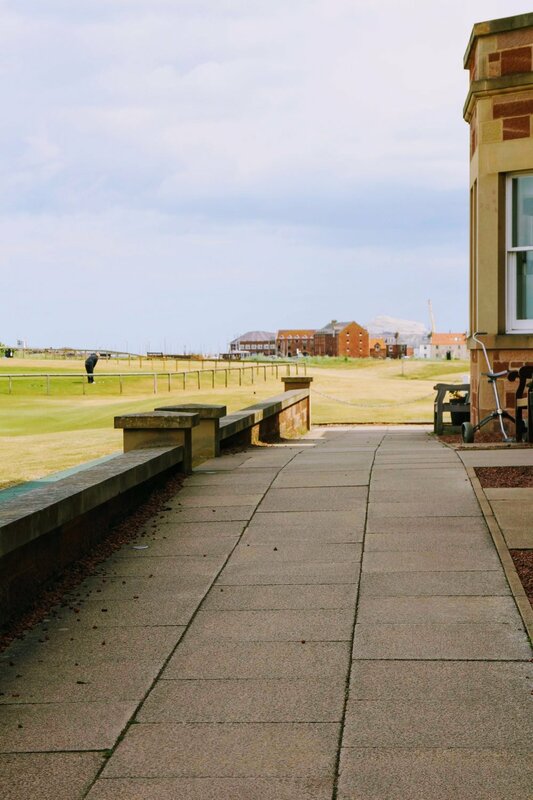 Generally, we perceived North Berwick as a very dog friendly town. We sat outside for a little while. I was sipping on my organic hot chocolate (I really liked that it wasn't so sweet) and Rickey enjoyed his cappuccino. Life was so good. There is nothing better than traveling with someone you a) love, b) share the same values with, and c) have the chance to share those smallest but most precious of moments with in a different corner of this world. To me, this is bliss. The "go slow, see more, and let it affect you in a beautiful way" approach. Our trip to Scotland was definitely a winner and both Rickey and I are hungry for more now. Scotland is amazing me because it is so full of culture and history. Thousands of years. Those cemeteries (this one was right across the coffee shop) tell tales of long gone times; eras that were so very different compared to the century we find ourselves in. It is bone-chilling, yet so absolutely fascinating at the same time. Rickey, being my history guy, is the perfect person to travel to this country with as he is not just walking by but actually listening and reading about historic sites. So, we spent a little bit of time trying to read the engravings on the tombstones and imagine what life must have been like ... "back in the day". The beach was almost deserted. A few souls, here and there, were letting their dogs run off leash but other than that, it seemed as if it was just us. We walked hand in hand. Reminiscing of the past and future. Talking about our little big adventures - and what's lying ahead of us -, daydreaming about coming back to Scotland to explore more remote areas. It is just such an utterly beautiful country. Standing on an almost empty beach, listening to the waves and feeling the breeze in my face is, for whatever reason, always so soothing. I am fully embracing moments like this. Sharing them with "my person" I am deeply connected with and I'll always want by my side as we slowly see more of this world is priceless. After almost an hour of strolling along the water, we decided that it was time to head back to Edinburgh. Those few hours away from the crowds were true balm for the soul. I highly recommend a trip here. Take your time and go slow. Soak in the moments and appreciate this wonderful place on earth. My "4 Days in Scotland in a Nutshell" guide will be coming soon. Sign up for the wanderlust list below (round up once a month incl. exclusive content! ).